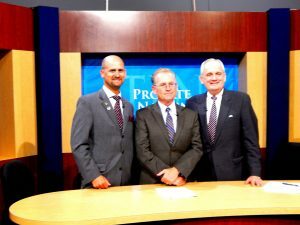 Offit Kurman’s principal attorney Thomas W. Repczynski appeared on The Probate Nation segment “Is This a Will?” which aired in November 2016. Thomas Repczynski is an Estates and Trust litigator, business litigation lawyer, and Principal with Offit Kurman’s Bankruptcy and Restructuring Practice Group. Thomas’s practice emphasizes fiduciary disputes, creditors’ rights enforcement, business disputes and real estate related matters of all types. Thomas represents an array of lenders, businesses, and individual clients from across the country in federal, bankruptcy, and state courts as well as ADR and administrative proceedings reflecting a broad range of primarily inheritance related disputes and general business contract and tort issues. To watch Thomas Repczynski’s segment and gain valuable information on wills visit The Probation Nation website.